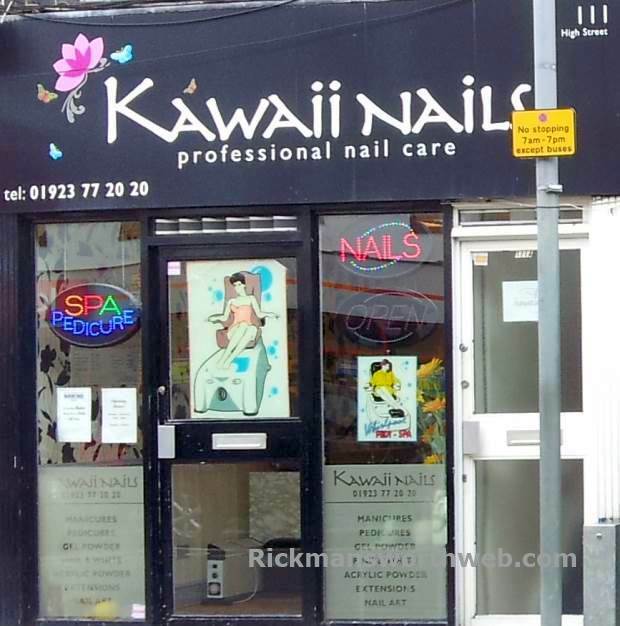 Kawaii Nails is based on Rickmansworth high street and offers long lasting nails and treatments. Kawaii Nails stocks a variety of colour polishes and offers all the latest in nail treatments such as gel and acrylic. Customers are given the opportunity to use a loyalty card which offers generous rewards when you have collected sufficient stamps. Prices are consistent, services are quick but thorough and the staff will always make the effort to talk to you and make you feel at ease. If you feel like pampering yourself, why not visit Maria Elena Health and Beauty for a tan or facial. Alternatively, check out the other Health and Beauty Companies in Rickmansworth.